ColecoVision.dk presents: Battle Of Hoth © 2013 by: Jean-Philippe MEOLA. Arcade Related: Yes, as a part of the Star Wars Trilogy "The Empire Strikes Back"
"Defend Echo Base against the Imperial AT-ATs.!" Imperial scouts have discovered the location of Echo Base, the Rebels' main base of operation, on the planet Hoth.! The Empire has dispatched AT-AT walkers to destroy the base's shield generator, and it's up to you to keep these attackers at bay while Echo Base is evacuated.! Pilot your Snowspeeder across the frozen wastelands of Hoth and take the AT-ATs head on.! Keep shooting at them until they explode, or use your limited supply of grappling hooks to make them fall. Return to Echo Base for quick repairs, and then go back to the battlefield.! Only you can ensure the safety of the Rebels as they try to escape the wrath of the Empire.! High Score For The ColecoVision Version Of: Battle Of Hoth, Jedi Initiate. High Score For The ColecoVision Version Of: Battle Of Hoth, Padawan. High Score For The ColecoVision Version Of: Battle Of Hoth, Jedi Knight. 1st XName: 1st XName: Sega_SHARK. 1st XName: Ole Nielsen. 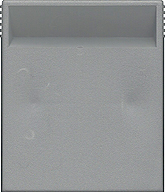 2nd XName: 2nd XName: atariron82. 2nd Name: Ole Nielsen. 3rd XName: 3rd XName: LidLikesIntellivision. 3rd Name: Ole Nielsen. 4th XName: 4th XName: LidLikesIntellivision. 4th Name: Ole Nielsen. 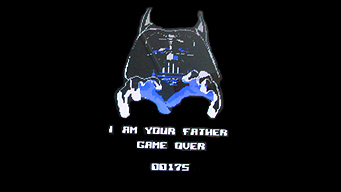 High Score For The ColecoVision Version Of: Battle Of Hoth, Jedi Master. High Score For The ColecoVision Version Of: Battle Of Hoth, Yoda. 1st XScore: 1st XScore: 1st XScore: 175 - March 01, 2015. High Score For The ColecoVision Version Of: The Hidden Game. 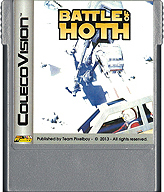 ColecoVision.dk Game # 120, Battle Of Hoth is last updated: March 31, 2019.